The Ace Pro cases come in clear or highly transparent TPU lined with the same Unequal® technology professional athletes use on the field for impact protection. 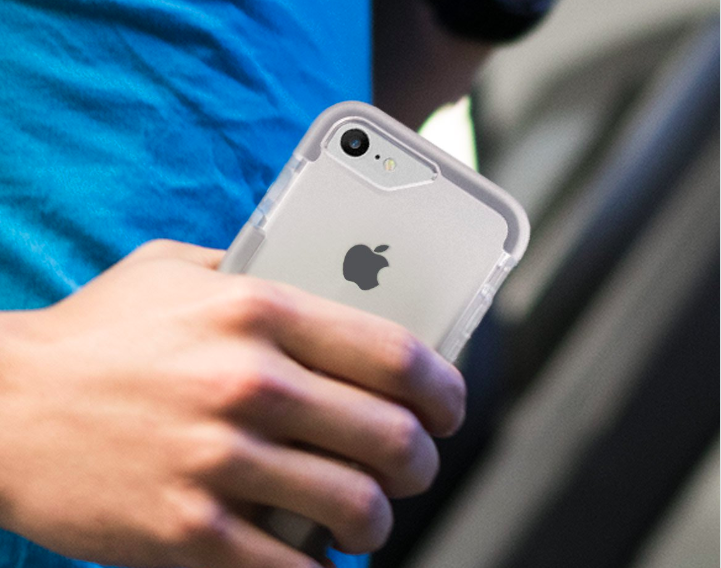 Ace Pro cases are designed to accentuate the design of the Apple iPhone 6/7/ 8 and provide slim, lightweight protection. A protective bezel extends beyond the screen to provide added defense for the front of your device. DOES THE CLEAR CASE YELLOW OVER TIME? We don't generally have that issue with the clear case. The case is infused with Kevlar® and Acceleron®, Unequal absorbs and dissipates impact energy, minimizing shock to the device, but can also absorb dyes depending on what it is exposed to! IS THE CASE SMOOTH OR TEXTURED? This one is smooth! WIRELESS is one of the first companies to sell the Bodyguardz brand in Ireland. They are extremely popular throughout America and we really love their cases. WHILE IN THE CASE WILL THE IPHONE 8 STILL BE CAPABLE OF WIRELESS CHARGING? Yes! Our phone cases are compatible with wireless charging so you shouldn't have to remove it!